College Term Paper: He helped with organization; I got a 95! Jonathan has been tutoring our 2nd grader in reading for several weeks now & we could not be more pleased. He is patient, thoughtful, kind, professional and knows what he is talking about and doing. He is not “stuck” on one approach for every child, he understands that every child has a different way of learning and he uses the appropriate tools & techniques to adapt to that child’s style. 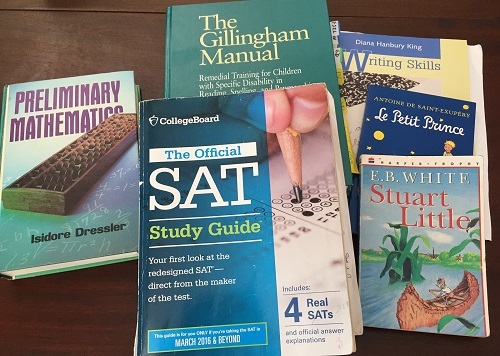 Hiring the “right” tutor for our daughter was a daunting task at first, after a conversation with Jon all my concerns were eased and the focus is where it belongs, on our daughter. At first she was nervous about getting a tutor and now she asks us when ” Mr. Jon” is coming back! She adores him and we could not be more pleased. Jonathan is tutoring my granddaughter in pre-algebra. He is prompt, patient, and structures each lesson based on her current and long-term needs. She is more confident, her test and quiz grades have gone up, and she enjoys her tutoring sessions. Jonathan really was a great fit for my daughter. He was extremely kind, patient and intelligent. He really helped a lot with her becoming more comfortable in preparing for the SAT’s. I would highly recommend Jonathan. My daughter’s score went up 110 points! Jen upped her score over 100 points. He is helping my son and he is happy with him. He knows what he’s talking about and he comes prepared for the lessons.